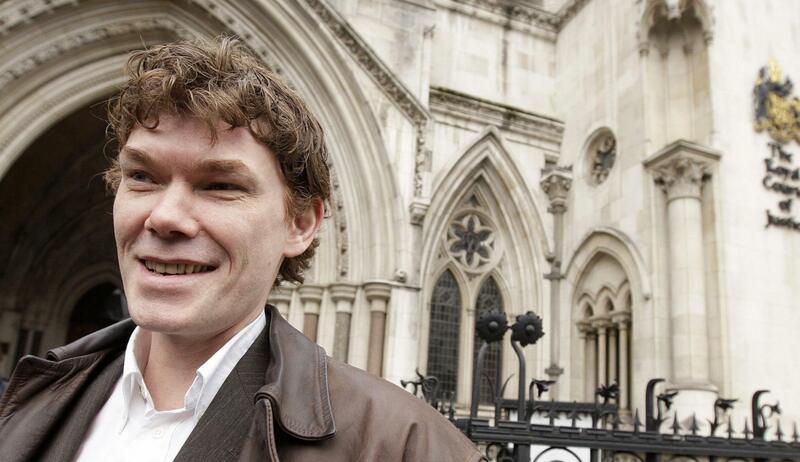 It has been going on for more than a decade, but the final verdict in alleged computer-hacker Gary McKinnon‘s fight to avoid extradition was served by UK Home Secretary Theresa May today, ruling that he won’t be extradited to the US. The Scottish systems administrator was first accused of infiltrating US military computers in 2002, though he claimed he was seeking evidence of UFOs. And after a series of back-and-forths over the past ten years with the UK government refusing to block the extradition, it seemed that McKinnon had run out of options. The final ‘final’ decision, however, fell upon Theresa May, who was asked to take into account McKinnon’s Asperger’s Syndrome diagnosis, which it was suggested would lead to him taking his own life if he was extradited. The consideration on May’s part was whether it would breach McKinnon’s basic human rights. “Mr. McKinnon is accused of serious crimes but there is also no doubt that he is seriously ill,” said May. “After careful consideration, his extradition would give rise to him leading him to take his life. I have withdrawn the request, and it will be down to the UK courts whether they will take action. “The decision to extradite would be incompatible with Mr McKinnon’s human rights,” she added. May went on to say that she’s introduced a ‘Forum Bar’, which will consider whether a prosecution can be held in both the UK and another state. If so, this could lead to a UK trial, despite the crime taking place against the US authorities. It could also lead to a trial by satellite. Earlier this year, Anonymous brought down the UK Home Office website, supposedly in response to its extradition practices. In addition to the McKinnon case, there was also the case of UK student Richard O’Dwyer, who had no tangible connection with the US at all. O’Dwyer used to operate a website called TVShack, which linked to other websites that contained pirated versions of films and TV shows. He closed the website following a visit from UK police and US officials last year, but his extradition is still being sought by the US, even though the server wasn’t based in the US and no copyrighted material was held on the website. Theresa May has given the go-ahead for his extradition, though this is currently being fought. Needless to say, there is a long way to go yet in today’s case, but for McKinnon and his defenders, this is a momentous occasion.